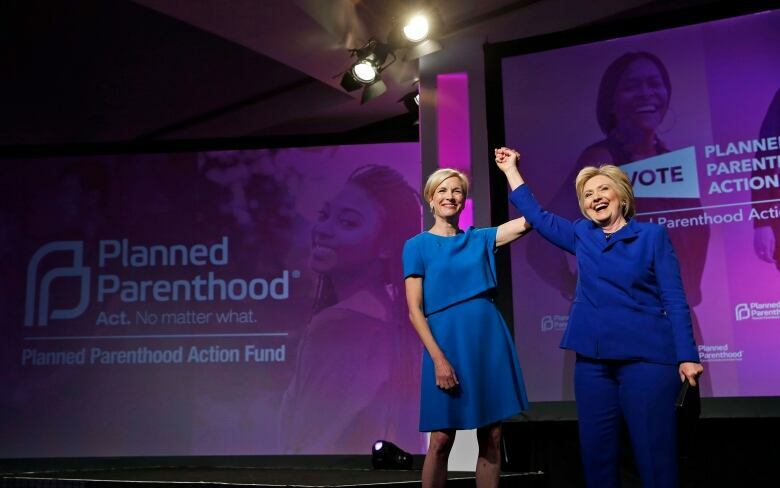 Donations to Planned Parenthood surged in the month since the U.S. election as supporters of the health care and abortion provider try to make a point — many of them making their donations in the name of incoming vice-president Mike Pence. Planned Parenthood is experiencing a surge of donations in the wake of the U.S. election, and a number of Americans are opening their wallets and directing their dollars at a specific target: vice-president-elect Mike Pence. The agency's national office says about 72,000 of the more than 260,000 donations that have come in since Nov. 8 were made in the name of Pence — a fierce opponent of the organization. That means in the coming weeks the Indiana governor's mailbox at the statehouse will be filled with notes from Planned Parenthood, notifying Pence it has received tens of thousands of dollars thanks to him. "We are so grateful to this community across the country, and we will never stop fighting for them," Cecile Richards, president of Planned Parenthood Federation of America, said in a statement to CBC News. "We've stood defiant in the face of opposition for the last 100 years. We will never back down, and we will never stop providing the care our patients need. These doors stay open, no matter what." Representatives for Pence did not immediately respond to a request for comment. Pence has a long history of fighting Planned Parenthood over its provision of abortion. He was a member of Congress from 2003 to 2012, where he led the fight to cut off its federal funding and consistently voted in favour of anti-abortion laws. When he became the governor of Indiana in 2013, he worked to restrict access to abortion in the state and passed laws that were then challenged in federal court. One piece of legislation stipulated that the remains of an aborted fetus must be interred or cremated. That requirement also applied to miscarriages. During the presidential campaign, Pence said he wanted to send Roe v. Wade — the Supreme Court ruling in 1973 that legalized abortion — "to the ash heap of history where it belongs." He pledged that a Trump-Pence administration would "defend the unborn from the first day we take office," and that their actions would include banning all federal funding for Planned Parenthood. "Will Mike Pence be pulling the strings? Will Trump allow him to do so?" Slocum said. "People are unsure about what these next four years are going to look like underneath a new administration," said Ali Slocum, a spokeswoman for Planned Parenthood of Indiana and Kentucky. Years before he entered politics Trump said he was pro-choice, but he's since changed his position. He now says he is "pro-life with exceptions," according to a statement he issued during the campaign. Trump provoked controversy when he said in an interview that if abortion were ever made illegal, women should be punished for having one. The statement walked back that comment, saying doctors who provide illegal abortions should be punished, not women. When it comes to Planned Parenthood, Trump has said that it has helped millions of women with their health care but that he would de-fund it because of its abortion services. There is already a law on the books — called the Hyde Amendment — that prohibits Planned Parenthood from using federal dollars for its abortion services. But some in Congress don't want federal dollars going to the agency at all. 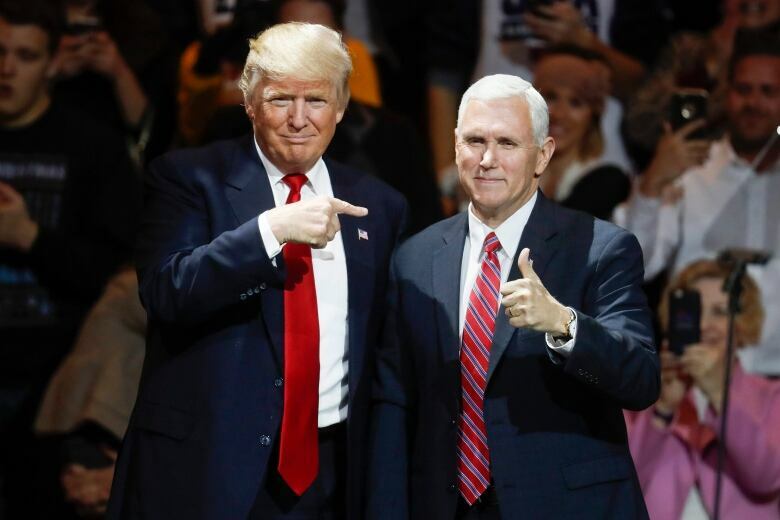 While Trump is known to be vague and to prompt questions about whether he means what he says or tweets, there's no ambiguity when it comes to Pence, according to Slocum. "So they are rallying around us," Slocum said, "recognizing that when we are attacked, our supporters fight back on our behalf." Just as they are at the national office, donations are pouring into her branch of Planned Parenthood. There's been a 1,700 per cent spike in online donations since the election, and voters are also donating by mail and phone. Planned Parenthood of Indiana and Kentucky typically receives an average of 80 donations per week. In the past month, it's received 7,654 total donations — 1, 913 each week. Close to 1,300 of those donations were made in Pence's name. The idea was born on social media, according to Slocum, who said a woman initially posted it on Instagram and then it went viral. Supporters are also announcing their donations on Twitter. Hi there, <a href="https://twitter.com/mike_pence">@mike_pence</a>, rainy here today, but my day was brightened by donating to <a href="https://twitter.com/hashtag/PlannedParenthood?src=hash">#PlannedParenthood</a> in your name. Hope you got the notice! Pence's election is emboldening Americans on both sides of the abortion debate, not just those who are upset about his victory. 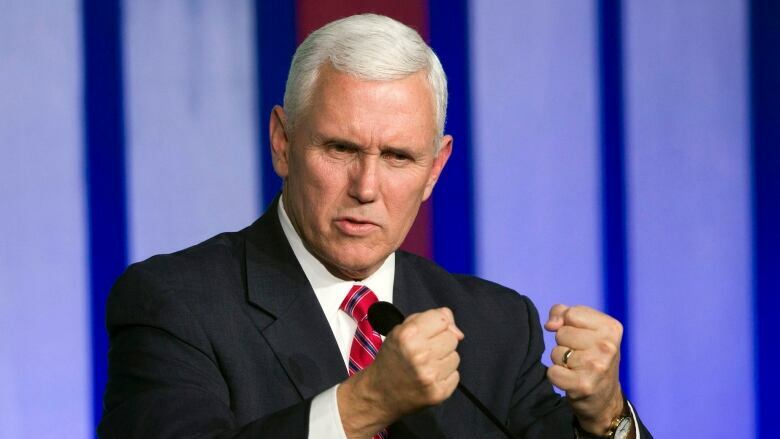 Anti-abortion groups, including Indiana Right to Life, applauded the election results and said the state can be proud and "honoured that Indiana's Mike Pence will now serve in the second most powerful office in the land. "Now it's time to roll up our sleeves and make abortion a thing of the past," the group said on its website.